We are experienced board-certified and state-licensed behavior analysts with a long history of providing excellent supervision. Our goal is to build better behavior analysts by making it easy for supervisors to ensure mastery across the task list. Our program is based on behavior-analytic principles, and all content is developed by active BCBAs. Our material is kept state-of-the-art by constant updates that are seamlessly embedded into your subscription. 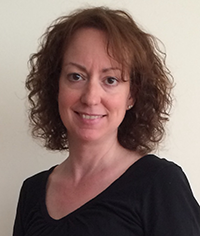 Dana Reinecke is a doctoral level Board-Certified Behavior Analyst (BCBA-D) and a New York State Licensed Behavior Analyst (LBA). Dana is an Assistant Professor in the CASE program (Concentration in Autism and Special Education) with the Department of Special Education and Literacy at Long Island University Post. Dana provides training and consultation to school districts, private schools, agencies, and families for individuals with disabilities. She has presented original research and workshops on the treatment of autism and applications of ABA at regional, national, and international conferences. She has published her research in peer-reviewed journals, written chapters in published books, and co-edited books on ABA and autism. Current areas of research include use of technology to support students with and without disabilities, self-management training of college students with disabilities, and online teaching strategies for effective college and graduate education. Dana is actively involved in the New York State Association for Behavior Analysis (NYSABA), and is currently serving as President-Elect (2015-2016) and conference co-chair. She will become President of NYSABA in 2017. 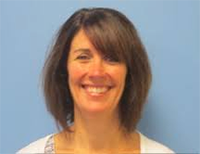 Cheryl Davis is a licensed and certified behavior analyst as well as a special education teacher who received her doctoral degree from Endicott College in Applied Behavior Analysis. Cheryl is a Professor of Practice at The Sage Colleges, as well as owner of 7 Dimensions Consulting, LLC. She received a Masters of Science Degree in Intensive Special Education from Simmons College in Boston, MA after attending The University of Connecticut where she received a bachelor’s degree in Human Development. Cheryl then pursued her BCBA, while working in a world renown ABA school. With over 20 years of experience working with children and families with autism, developmental disabilities, and related disorders, Cheryl specializes in effective programming for clients in need, online teaching, active responding and skill acquisition. She has had experience as a teacher, job coach, home therapist, residential supervisor, public school consultant, staff trainer and professor. Cheryl has extensive experience in developing training topics for both parents and teaching staff. She has provided professional development trainings to over two thousand teaching staff.